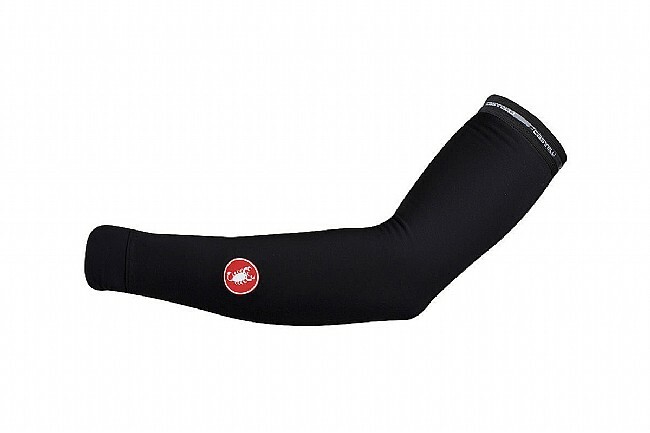 The Thermoflex Armwarmer from Castelli is composed of a luxuriously soft and supple fleece-based fabric, Thermoflex. Its tightly woven fibers facilitate insulation by trapping a layer of warm air next to the skin while still providing moderate ventilation. Grippy microfiber along the upper cuff helps keep the Thermoflex Armwarmer firmly in place. Great Arm warmer which stays in place! keeps arm nice and warm, was so express I order the leg warmers. I love these warmers. Absolutely nothing to complaint about. Definitely recommended. 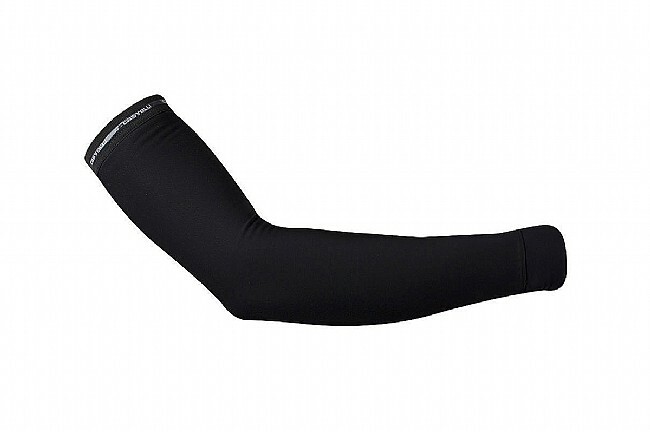 These are great arm warmers for chilly to very cold rides. Keep in mind that only one of the two arm warmers comes marked with the Castelli logo shown in the image above, the other arm warmer is just plain black. great value, fit, and feel, keeps my arms toasty on rides between 30 & 45 degrees!